→WordPress SEO By Yoast: Is It The Best SEO Plugin? WordPress SEO by Yoast is one of the most familiar name if you are a WordPress User. With over 1 Million active installs and over 2.4 Million Total downloads, it is one of the most Popular WordPress Plugin. So what makes WordPress SEO so popular? Is it really worth for the praise it gets? Let us find out. On Page Optimization is a very critical factor if you want to rank higher at search Engines. I have already written a detailed article about various On Page SEO Optimization tips which you must follow to Improve your search Rankings. If you have not read it yet, do make sure to read it. However, keeping track of all the On Page SEO factors manually can be very time consuming. This is why WordPress SEO by Yoast comes in so handy. It single-handedly takes care of most of your On Page SEO Needs. 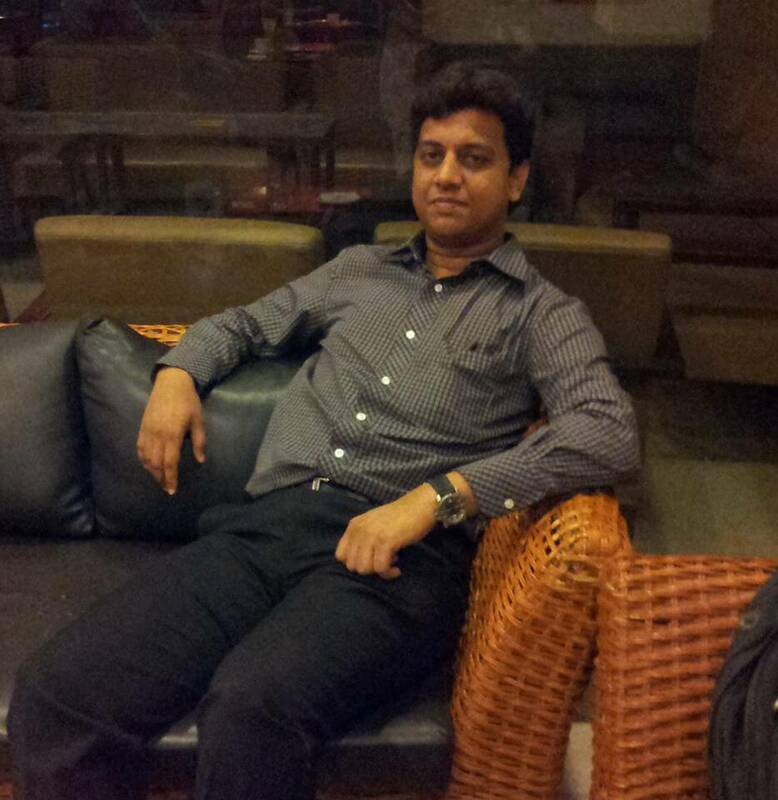 So let us go through various features that it offers. As the name suggestions, here you can change some very basic settings. You can change your Website name and choose if the owner is an Individual or Company. If you choose owner as company, it will ask you to select Logo for the company. It also lets you enter Alexa, Google Webmaster, Bing and Yandex Verification ID for quick verification. 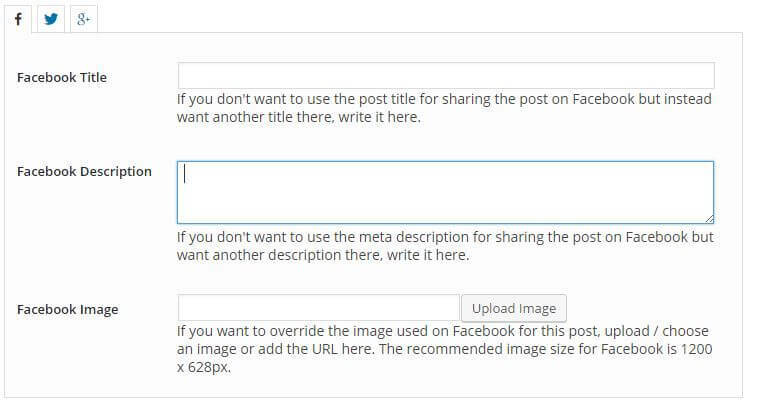 Here you can set a default Page Title Template and Meta Description Template for your Home Page, Posts, Pages, Media, Categories, Tags and Archives used at your Blog. 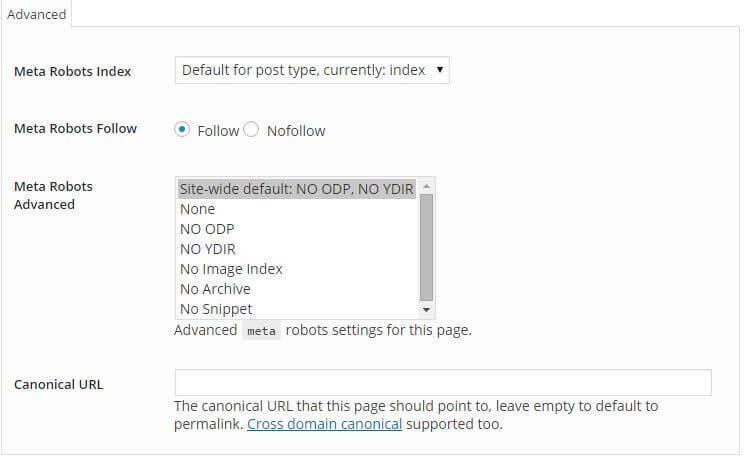 You can also show/hide Yoast SEO Meta Box and add “no-index, follow” meta tags for each of the above except Homepage. This section allows you to add links to your profile at all the major Social Networks. It also allows you to enter Facebook Admin ID, Facebook App ID and Google+ Publisher Page. 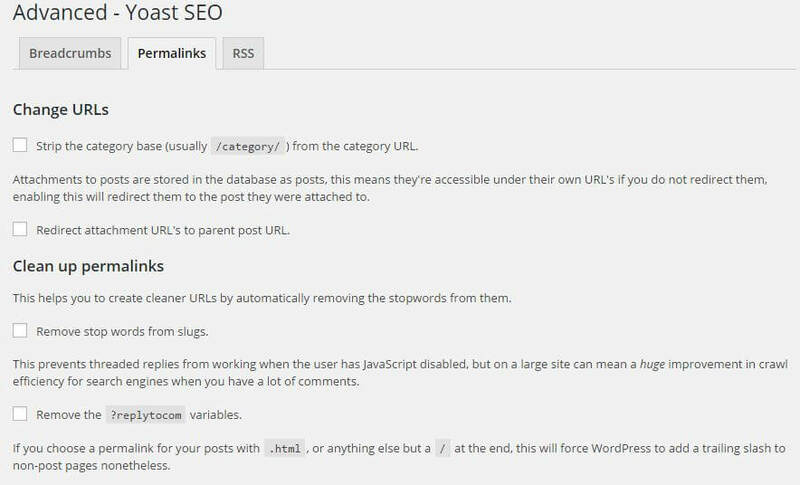 WordPress SEO automatically generates a sitemap for your Blog. In this section, you can make changes so as to exclude certain post types or individual posts from the sitemap if need be. This option is not activated by default. You need to activate this from General settings menu. Here you can enable Breadcrumb and change your permalink structure to SEO friendly structure, apart from managing your RSS feeds. You can also easily modify your .htaccess file and robots.txt file using the File editor. In this section you can link WordPress SEO plugin to Google Search Console. This allows you to easily track 404 errors and also other errors which you may miss out if you do not check your search console account very often. Yoast MetaBox is a box placed at the bottom of the your WordPress Post Editor. While the above WordPress SEO settings only allow you to set default values for the blog, this is the place where you can customize your Individual posts and pages before publishing, to improve your “SEO Score” Indicated by the Tiny Green Dots. 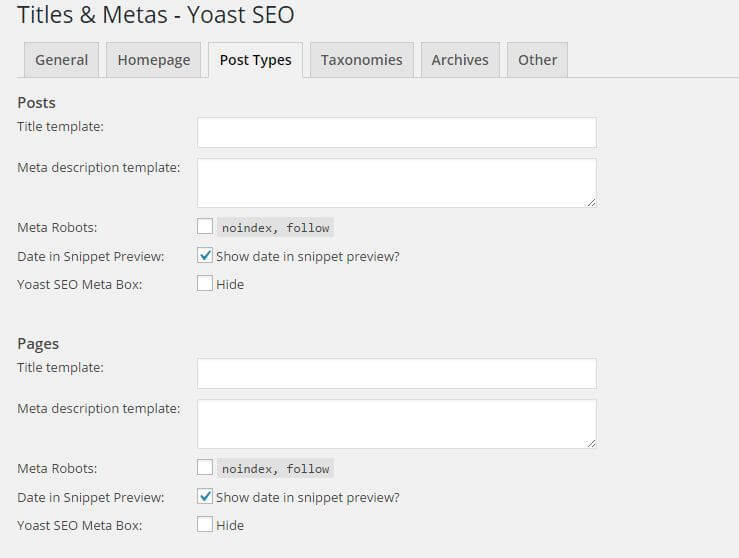 You can change Following Parameters in Yoast Meta Box to optimize your Blog. There are certain cases wherein you may want to show different Page Title to your Blog readers and the search engines. Editing the Page Title in Yoast Metabox, will help you achieve the same.The Title in Metabox will be shown in search results while your main WordPress Page Title will be shown to your Blog Visitors. You can also add a Meta Description, which is a summary of your page that shows up in Google Search Snippet. It is very important On Page SEO factor as apart from Improving your search Rankings through keyword integration, a well written Meta Description can also help you improve Click Through Rate of your post. 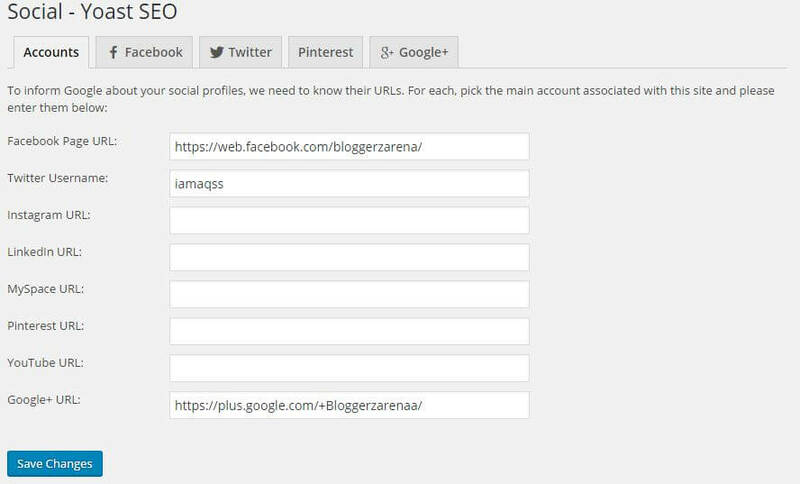 You can set different Page Title and Meta Description for your Facebook, Twitter and Google Plus page in the social Section. A focus keyword is the main keyword you are targeting for the post. It’s recommended to use short tail keyword as your focus keyword. Here you can change Meta Robot Index for the entire post or for a particular element. You can also add No-Follow Tag and Canonical URL if needed. This is the heart of WordPress SEO Plugin. These section displays set of Parameters that you must follow, for improving your On Page SEO Score. A green dot indicates a fulfilled SEO factor, a red dot indicates a not fulfilled one while an orange one indicates scope for improving. You are also provided with suggestions for improving these factors. Whether or not you have set a focus Keyword. If set, whether or not you have used it before. Meta Description present or not. Whether or not you are using Inbound Links. The main disadvantage of WordPress SEO plugin is lack of Rich Snippet Preview like the one in All In One SEO. Though, not a major disadvantage, the branding at the Plugin Settings page can be annoying for some. WordPress SEO By Yoast is indeed the best SEO plugin out there in the WordPress Market currently. Though All In One SEO too is a great product, atleast for me, Yoast has way too many useful features to even consider switching to All In One SEO. And I Simply love the Content Analysis with those Little Green, Orange and Red dots, which Keeps on changing as you type. 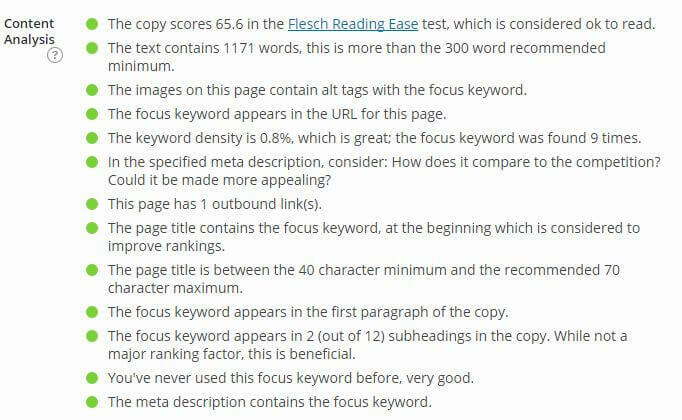 Flesch Reading score is another very important factor for me to stay with WordPress SEO. You can download WordPress SEO by Yoast Plugin from WordPress Plugins Page. What are your views about WordPress SEO by Yoast Plugin? Do Share what you feel is good and what’s bad about it. I too accept that Yoast SEO is the best SEO plugin. I personally use Yoast SEO on my blog. I have had few experience of All in one SEO. I find Yoast SEO more easy, attractive, and helpful than All in one SEO.